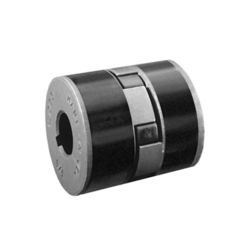 We are a leading Manufacturer of Disk Flexible Coupling, Slit Type Flexible Couplings, Aluminum Flexible Coupling and Buffer Type Flexible Couplings from Pune, India. 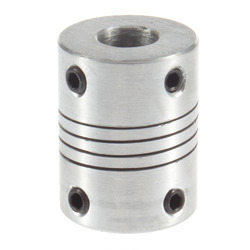 We are supplier of Xyz Axis Slide. We are one of the best supplier in our area. Here is a simple flexible beam coupling I made for 6mm shafts. It uses split brass inserts for a completely no-mar grip on the shafts. The body is ½" dia. aluminium. Flexibility is provided by alternating saw cuts which pass nearly completely through the material, leaving a small web in the middle. 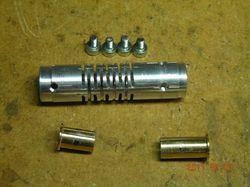 There is a 6.5mm hole running the length of the coupling, and the ends are bored out to 7mm to accept the split brass inserts. All parts were turned to ensure concentricity. 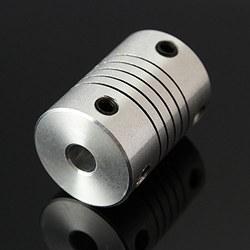 We are supplier of Aluminum Flexible Coupling. 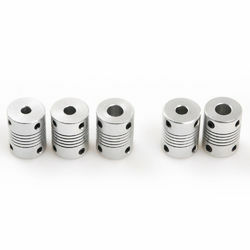 We are supplier of Buffer Type Flexible Couplings. 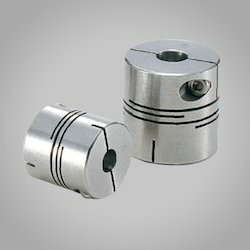 We are supplier of Flexible Jaw Couplings.